GRAND CHUTE, WI - The Wisconsin Timber Rattlers will hold their 2018 Pick-A-Seat event at Neuroscience Group Field at Fox Cities Stadium on Wednesday, September 19 from 5:00pm to 7:30pm. Fans may take a look at available seat locations and purchase 2019 ticket packages. Fans can come out to the ballpark through the main gates of the stadium starting at 5:00pm and check out all available seats for the 2019 season. Members of the Wisconsin Timber Rattlers ticket office will be available to assist fans with questions and purchases. If you had a 2018 season ticket package and bring in your Rattlers Rewards Card or if you purchase a 2019 ticket package during the event, you may participate in the Snake Pit Team Store's End-of-Season Sale. Everything in the Snake Pit Team Store - except game-worn jerseys and Fond du Lac Dock Spiders merchandise - will be available at 40% off the marked price as part of the End-of-Season Sale. The Fox Club will serve hot dogs, chips, and soda for $1. There will be complimentary popcorn and the bar will be open, too. All fans attending the event will be entered to win a 2018 team-autographed bat. 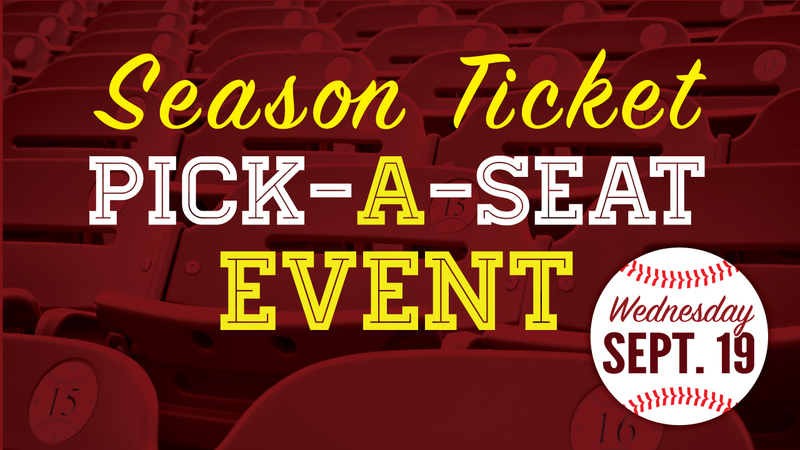 Ticket packages for the 2019 season are available over the phone at (920) 733-4152 or (800) WI-TIMBER or in person at the Timber Rattlers Box Office located at Neuroscience Group Field at Fox Cities Stadium. The box office is open from 9:00 am to 5:00 pm Monday through Friday.